Sinbad never made a genie movie called Shazaam, but that isn't stopping people from remembering they saw it. Remember that classic ’90s movie where Sinbad played a genie? If you think you do, you’re wrong. In an article for the New Statesman, Amelia Tait lays out the strange case of Shazaam, which starred the famous comedian as “an incompetent genie who granted wishes to two young children.” Reddit has become home to hundreds of people with vivid memories of the film, right down to the details of individual scenes, and elaborate personal histories where they recall rewinding the tape to replay favorite scenes over and over again. There’s just one problem: There never was a movie called Shazaam, nor has Sinbad ever played a genie. There was, of course, a 1996 movie called Kazaam in which Shaquille O’Neal plays a genie who grants wishes to a young boy, but should you suggest to the Shazaam-ites that they’ve simply confused one for the other, they apparently don’t take it well. (They would, of course, never confuse one large black male 1990s celebrity for another, because that would be, you know, racist.) 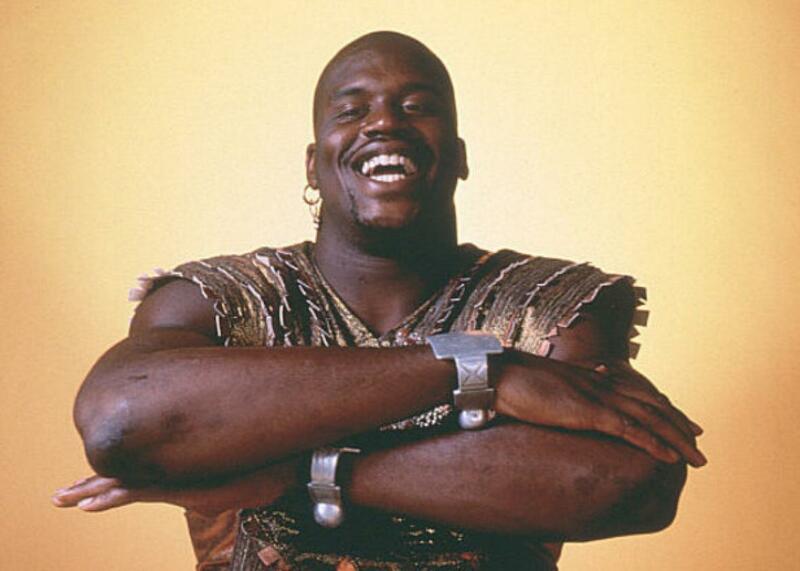 A Redditor identified as Carl (names were changed for the piece) says he specifically remembers avoiding Kazaam because it looked like “a rip-off” of the totally real and not-at-all-made-up Shazaam, while 52-year-old video store employee “Don” remembers ordering two copies of Sinbad’s movie and only one of Shaq’s for the store. The New Statesman article delves into the phenomenon of false memory and the theories that have propagated on the internet about why Shazaam—which, again, is a movie that absolutely, 100 percent existed—has completely disappeared from the face of the earth and how “Shazaam truthers” continue to believe despite the absence of a single piece of a concrete evidence that their memories are reliable. So how are they taking it? A dip into Reddit since the article posted shows true believers wrestling with their faith. It’s 5am and I think I need a stiff drink. Sonofbooey, for one, isn’t buying it. I have memories of the movie, I remember watching it at my friend Bobbys house and him repeating catch phrases from the movie for weeks. When the article gets to the part where it describes the movie cover, I was able to envision and describe before reading the articles description. Also, the idea that it’s people thinking of the movie Shazaam doesn’t hold true for me, Im acutely aware of both movies. I took a while to read through the Internet to see if this a fake news article or something, this is really bizarre to me. The story is fascinating and a deeply weird, but the reference to “fake news” gives it a troubling resonance. If people would sooner believe there’s a vast conspiracy to efface the existence of an innocuous children’s movie from the 1990s than admit they might have remembered something wrong, what hope is there of convincing them they’re wrong about things that actually matter?